The Hertsavers Senior County League Division One has a new name for the 2014/15 campaign with Hampstead Heath Football Club joining. The Cold End caught up with their manager Philip Peters to see what's happening in preparation for the new season. WHAT IS THE HISTORY BEHIND THE FORMATION OF HAMPSTEAD HEATH FC? 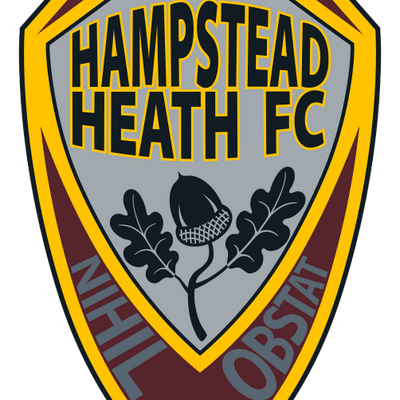 Hampstead Heath FC was established in the summer of 2014 by a small group of boys who went to school together in Hampstead. The Heath has played home to their training, matches and fond memories for many years. WHAT IS YOUR FOOTBALL HISTORY? As a youngster I was training with Spurs and was offered the opportunity to join the academy at Levante in Spain (then a Segunda Division team), however this pipedream was abandoned in favour of getting an education in the UK. I spent my formative years at the now defunct Kinnor Football Club where I was a prolific goalscorer (albeit peaking at the age of 11) before a horrific leg-break at 14 put a stop to my footballing development. After intensive rehabilitation I trained as a referee before taking the reins of North London Junior FC and then establishing Norstar FC as player-manager in the years that followed, securing successive promotions to take them to the top division of the Maccabi Southern Football League. Despite a number of interesting deals being on the table, from the Maccabi League’s top clubs, the offer from Hampstead Heath was truly mind-blowing and so I decided to try my luck at managing in the non-league system. WHAT ARE THE AIMS FOR HHFC THIS SEASON AND BEYOND? WHAT WOULD YOU CONSIDER A SUCCESSFUL SEASON? As a brand new team, our immediate aim is to establish ourselves in the division and play some decent football. Maybe I’ll have a better idea of our aims after we’ve played a few matches. HOW CAN THE FA IMPROVE GRASS ROOTS GAME? HOW CAN THE FA IMPROVE THE ENGLAND NATIONAL TEAM? Make 11 a-side football more fun and more affordable. Grass pitches and facilities are by and large appalling and those that aren’t are prohibitively expensive. More all-weather pitches would be great as well. IS THE TEAM PLAYING ON THE 3G SURFACE AT THE HIVE THIS SEASON? HOW WILL YOU PREPARE DIFFERENTLY AS OPPOSED TO GRASS? We’ll be playing on a beautiful grass surface that The Hive have been preparing for us all summer. We had our first friendly there last weekend and it’s looking great. WHO IS THE BEST PLAYER AT HHFC? At the moment we’re yet to confirm our squad for the season and I’ve only been working with the boys for a few weeks however the away fans were left salivating over Simon Lawrence's first half hatrick against Old Aldenhiams last weekend so he's certainly one to watch. Hampstead Heath start their league campaign with three home games against Kimpton Rovers (Saturday 30th August), Hinton (Saturday 6th September) and Knebworth (Saturday 13th September) before an away trip to Broadfields on Saturday 20th September. They could face Broadfields again in the Middlesex FA Junior Cup as they face the winners of the Broadfields v Kodak game on Saturday 1st November.